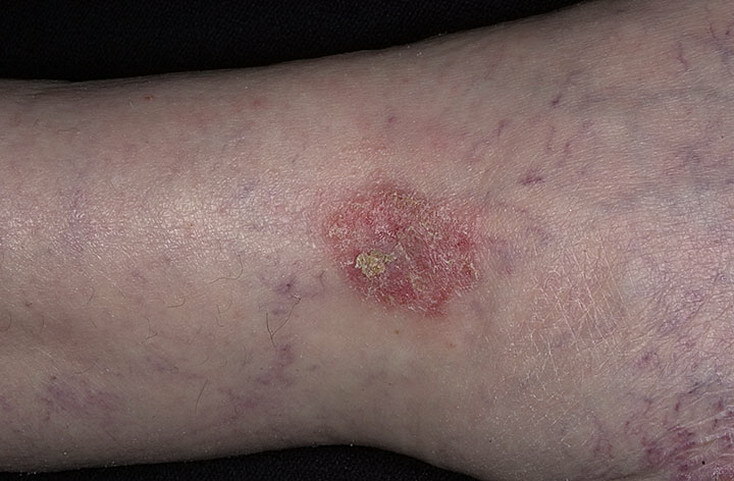 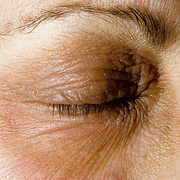 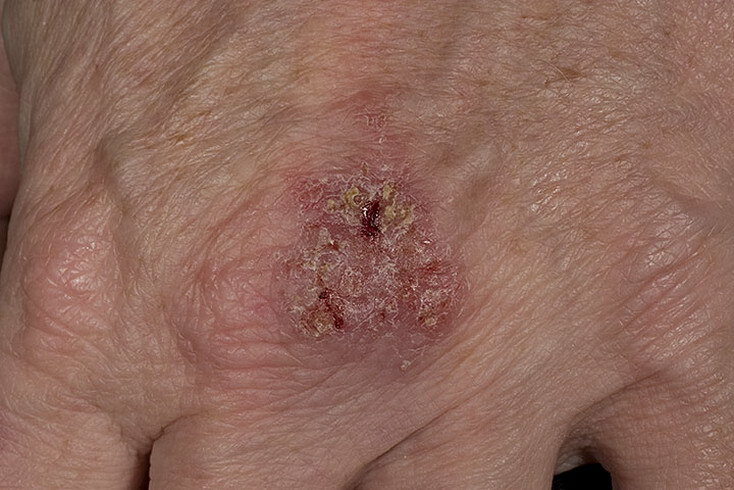 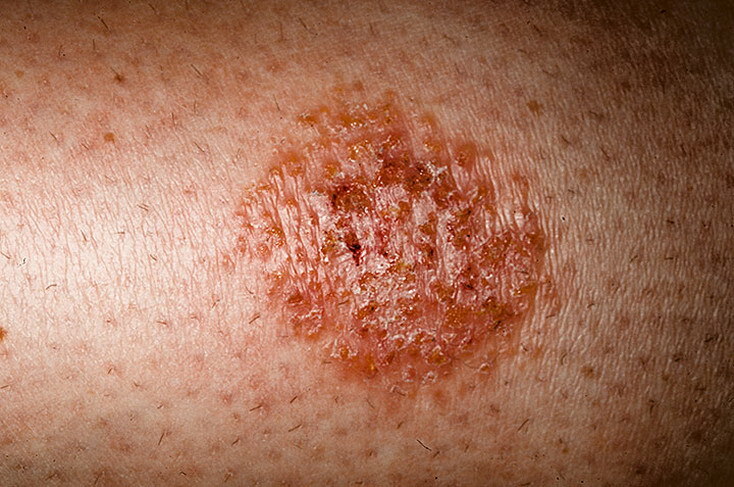 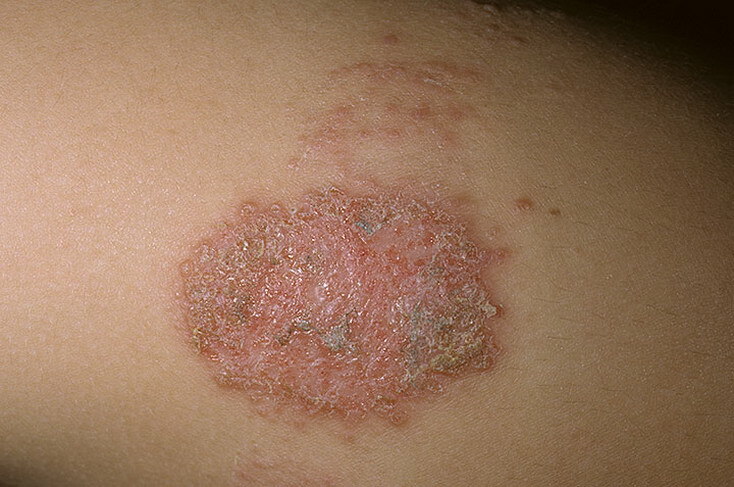 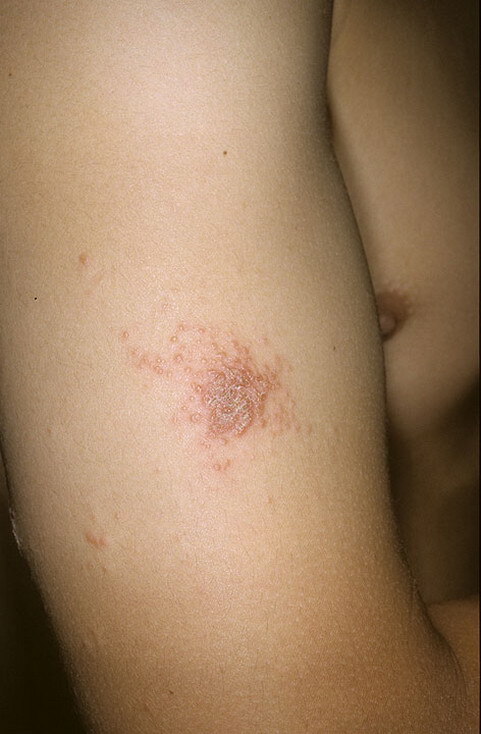 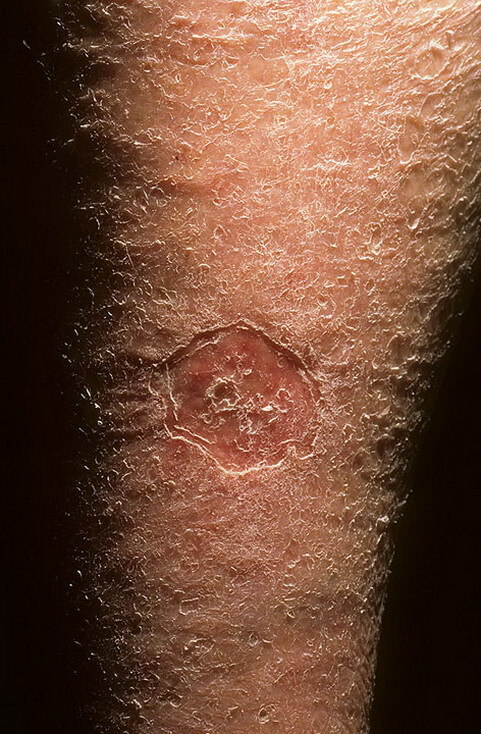 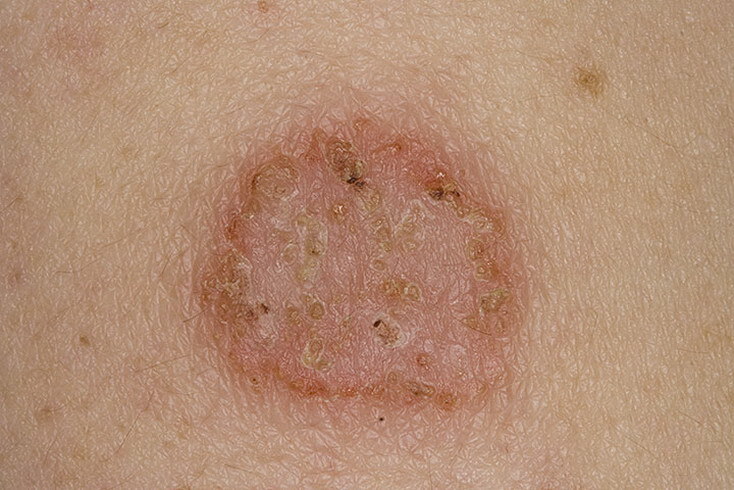 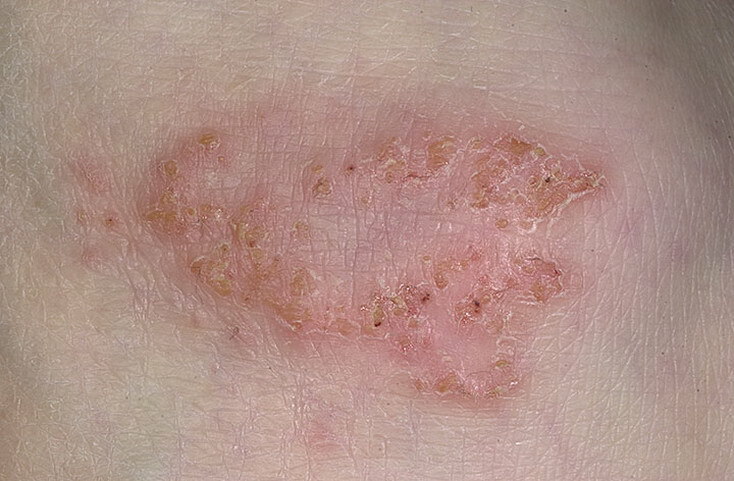 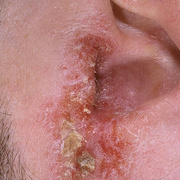 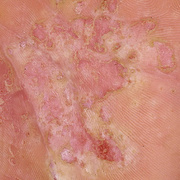 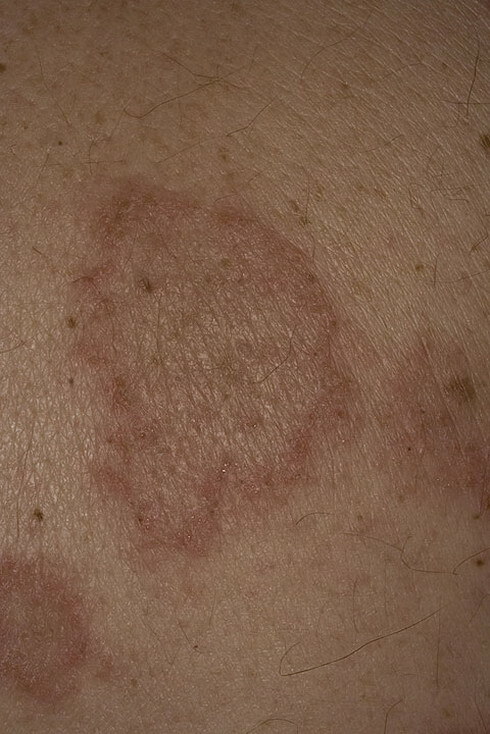 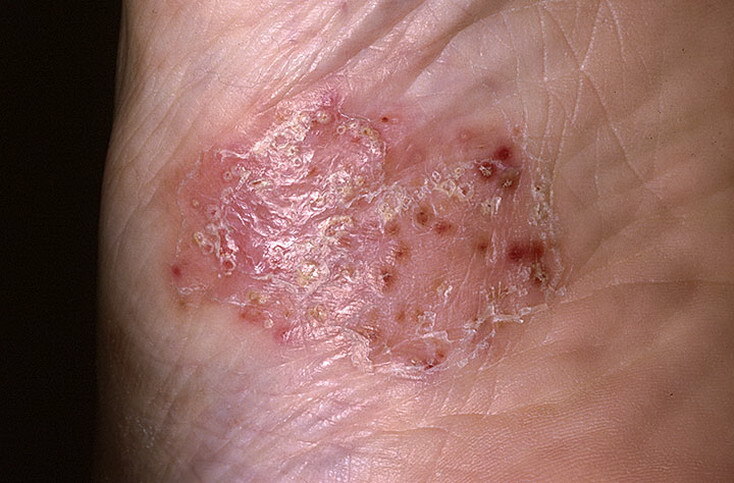 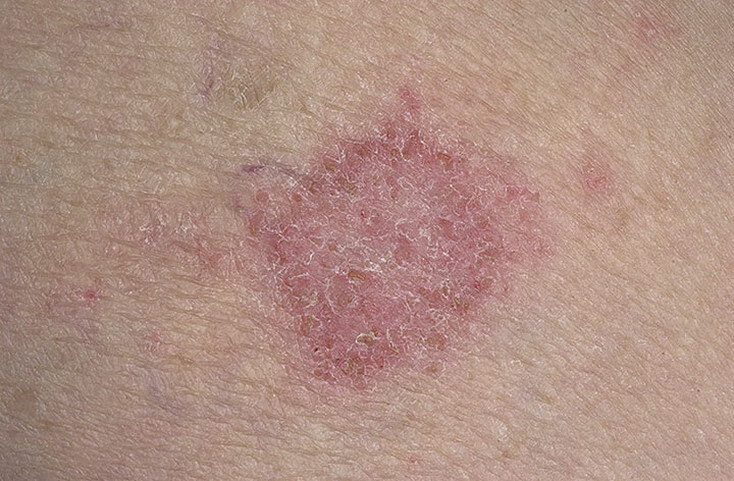 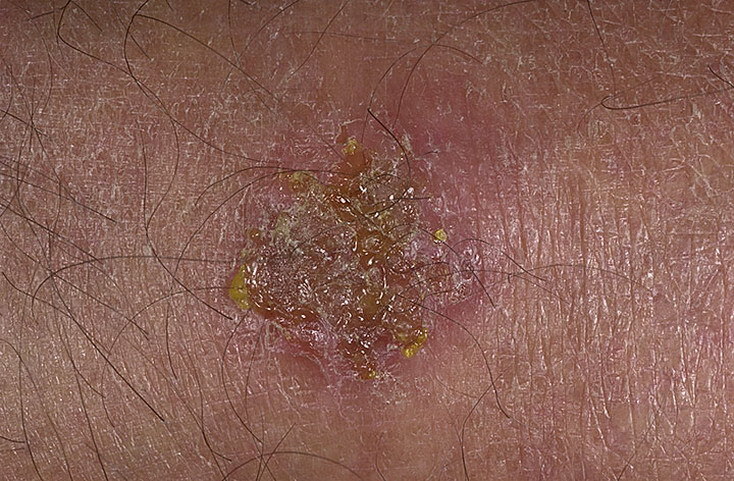 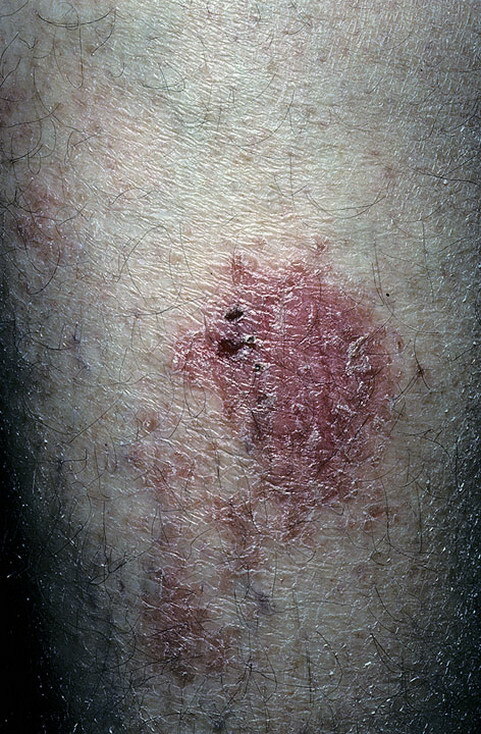 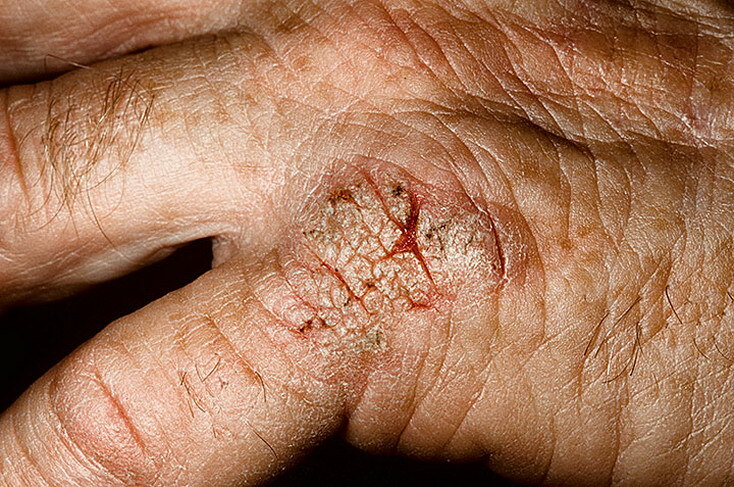 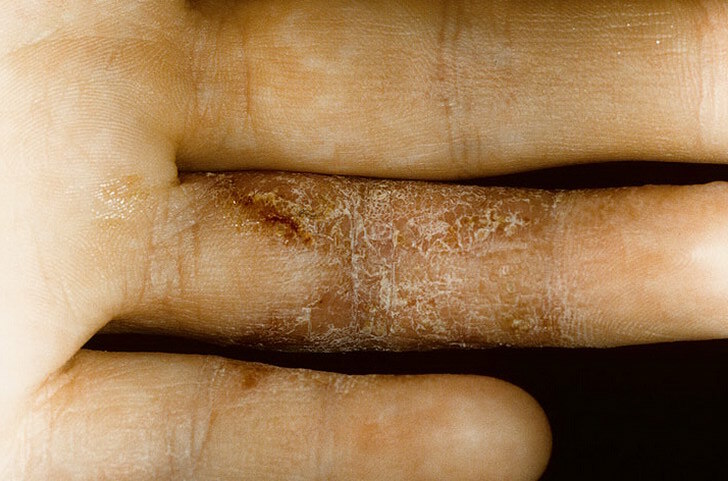 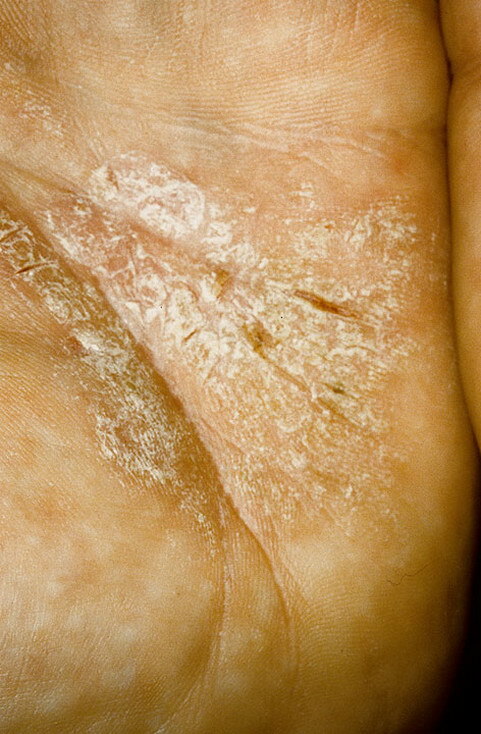 signs of superficial infection, such as weeping or crusty deposits. 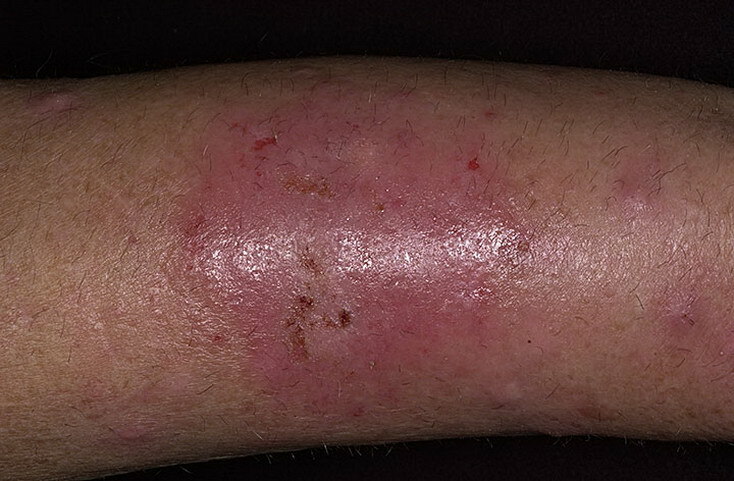 When bacterial infection gets into the deeper layers of the skin, there's usually a marked increase in redness and heat from the tissues. 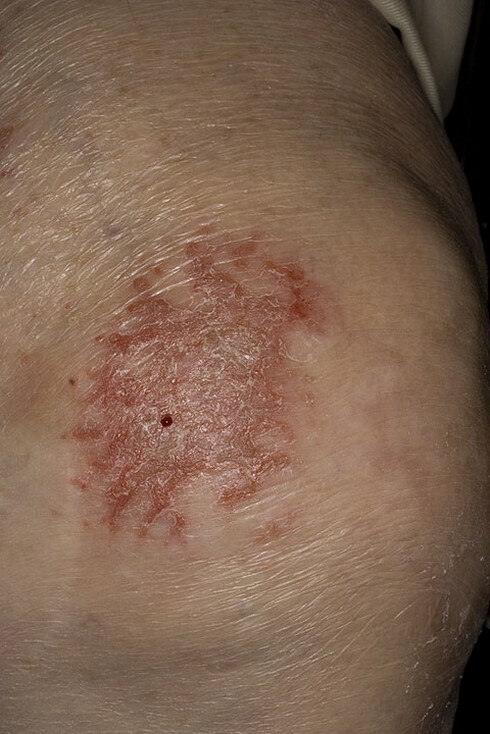 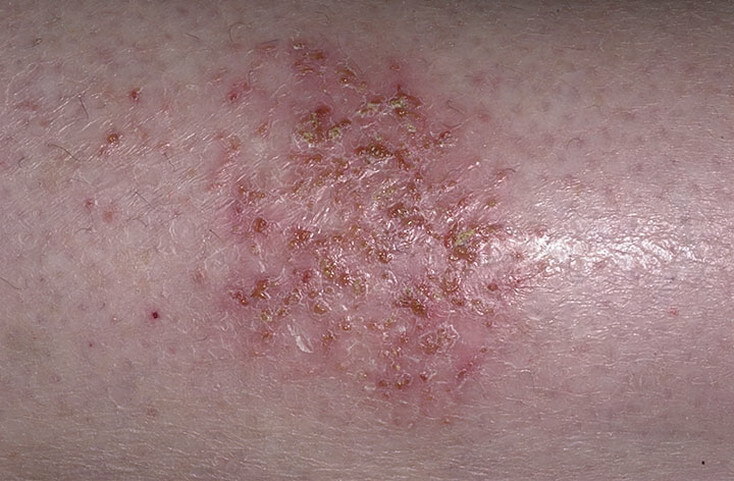 Recognising that this may be due to infection is important in bringing the eczema under control. 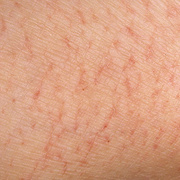 Eczema often affects the skin in areas around joints such as the elbow, behind the knees and in front of the ankles (the 'flexures'), where the skin also needs to be particularly flexible. 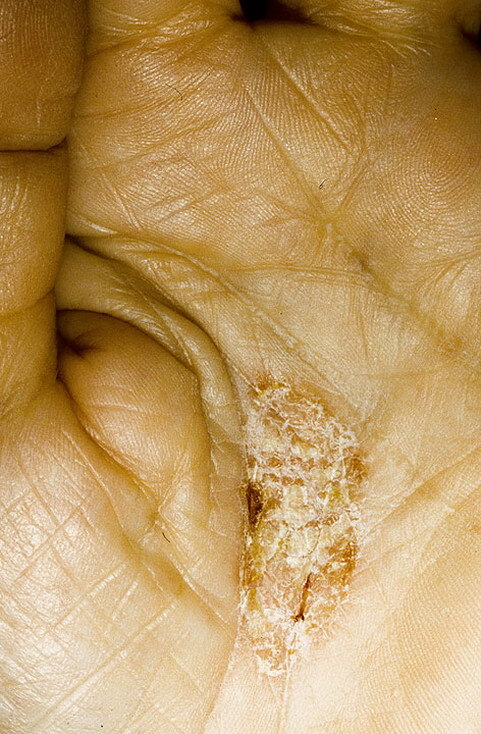 Commonly, one will see splits in the skin here (fissures) because the thickened skin is unable to bend as it would normally. 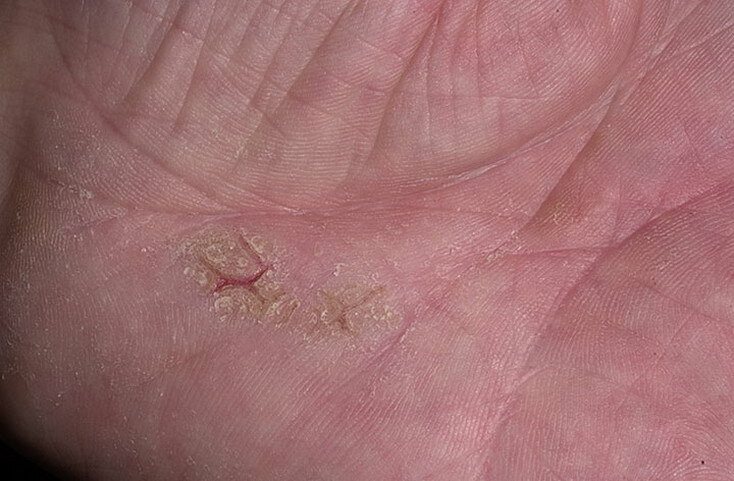 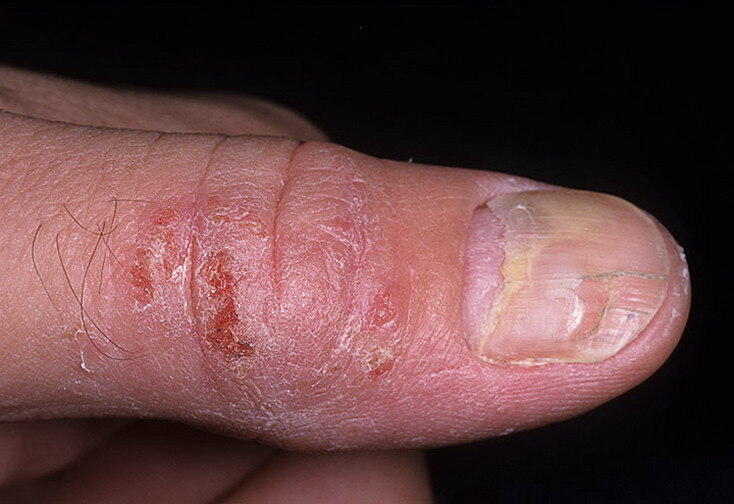 Small blisters may be seen in active eczema but occasionally large ones may occur, either due to the particular nature of the eczema or because of added skin infection, when the blisters may be filled not only with clear fluid but also pus. 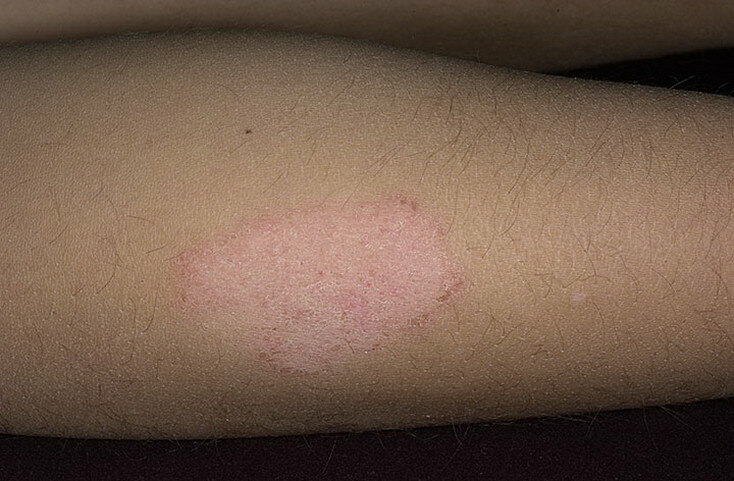 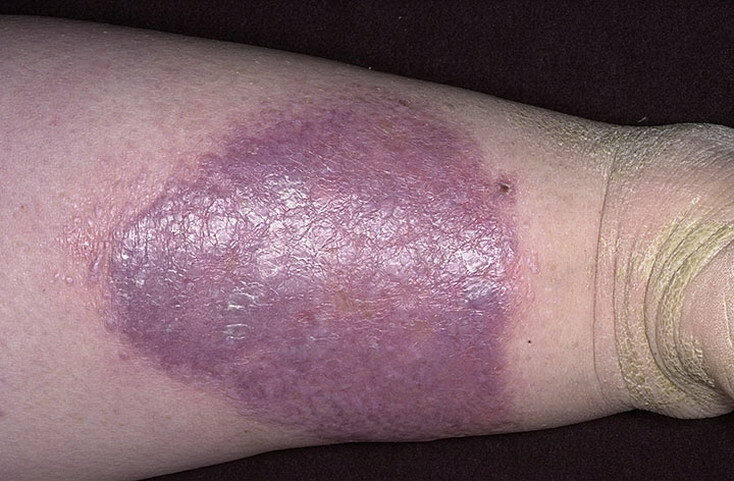 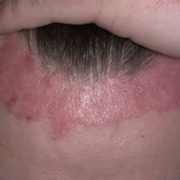 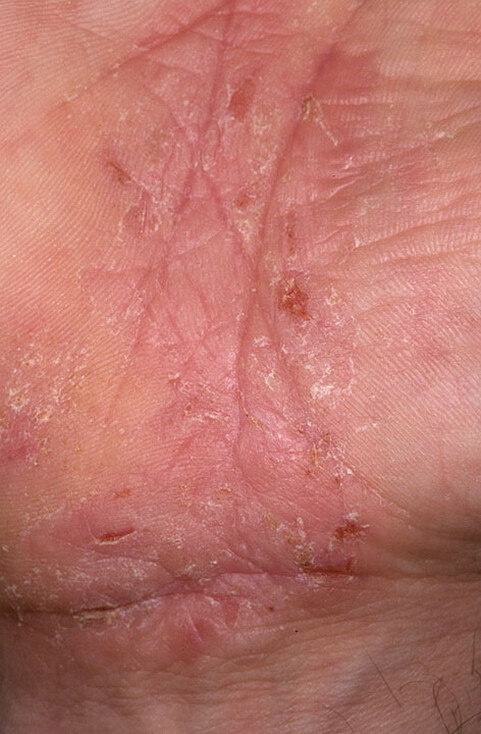 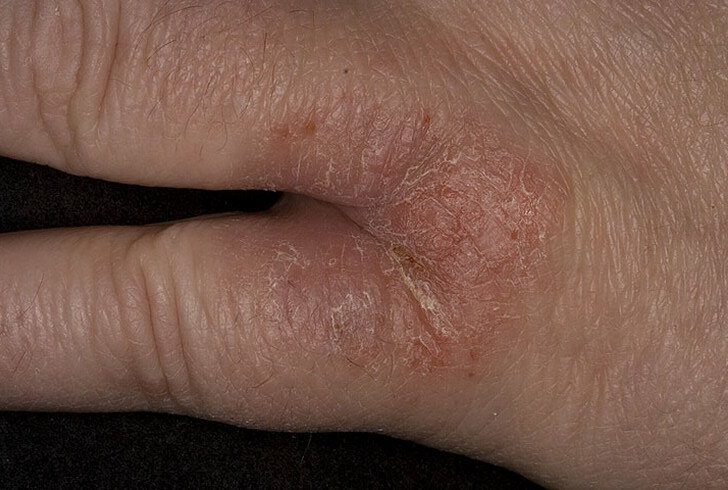 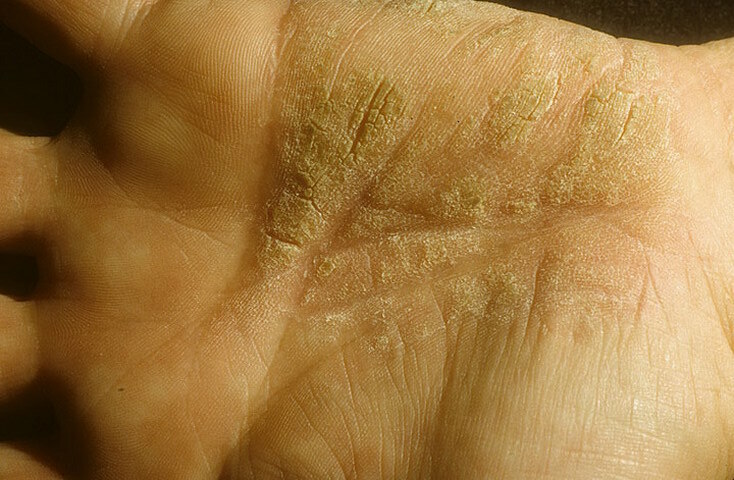 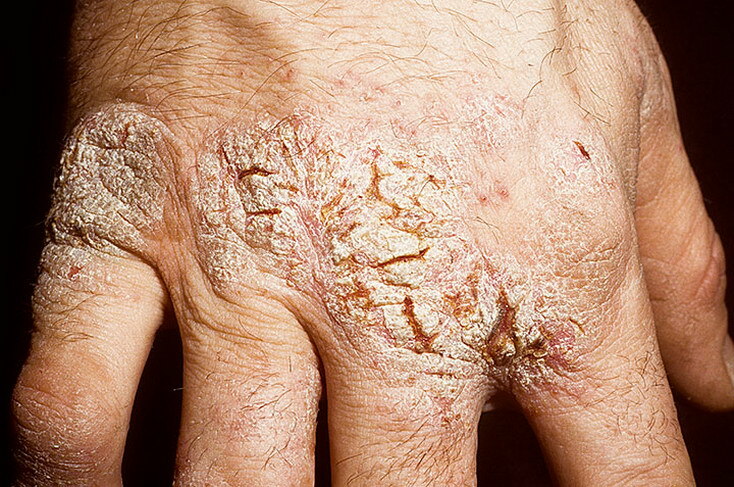 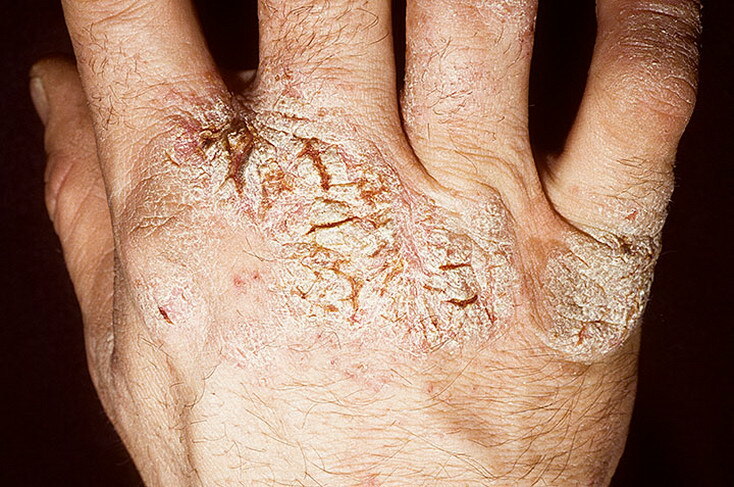 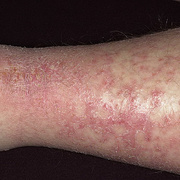 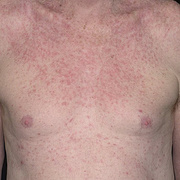 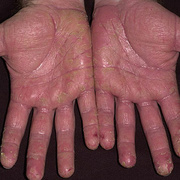 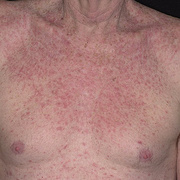 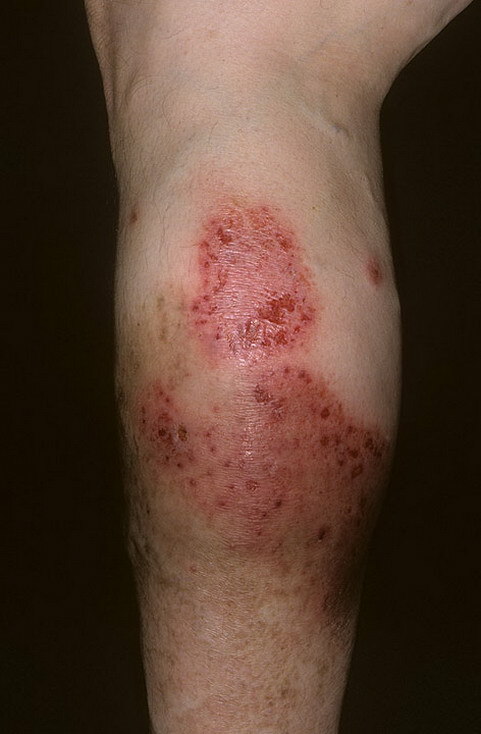 Eczema is a common condition. 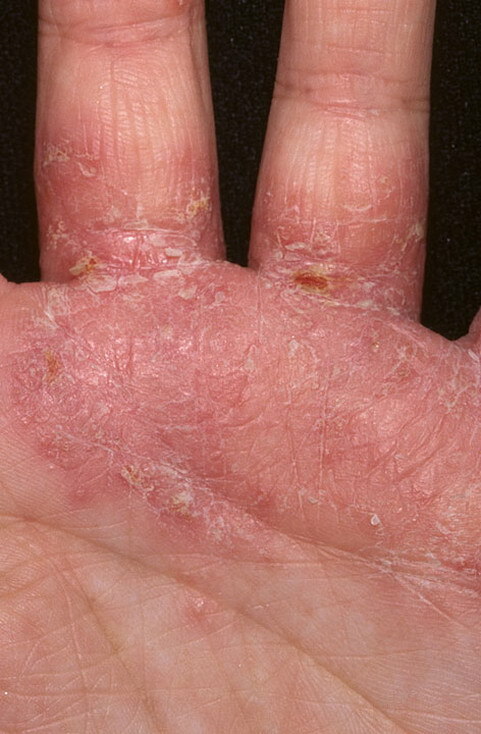 Atopic eczema affects about 10 to 20 per cent of schoolchildren and 3 to 5 per cent of adults in the UK, and it's getting more common.